* Academic - learn a modern foreign language. * Physical - walking Scotland; St. Cuthbert Way 20/4 - 26/4; walking the camino from Sarria to Santiago Compostela, Spain 4/6 -12/6;Kiltwalk. * Projects - Scots in Great War London; Moving on from the conference (RCET); Chelmsford Remembers. 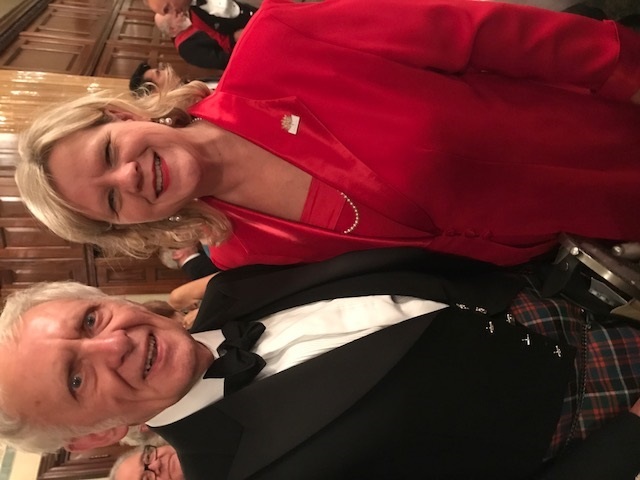 * Publications - Scots in Great War London chapters on RCET, Canadian Scottish and Sir Dougls Haig; NationalLiberal Club magazine article on 'The NLC and World War 1 Armistice Centenary and Chelmsford. * Travel - Japan 23/3 - 6/4; Greece 17/6 - 1/8; NC500 7/9 - 16/9. Photo with Canadian High Commissioner. Walking 140 miles Orvieto to Rome on the Via Francigena (Pilgrim Roads) in Italy. This is the Solo Challenge‘ for my CALSOC Presidential year: to raise funds for RCET. 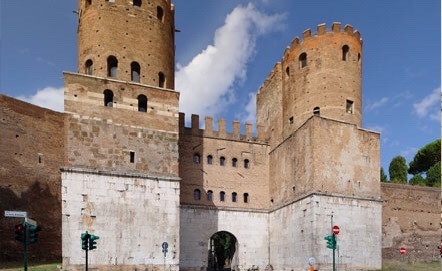 Will enter Rome on the Appian Way, through the Porto Sebastian’s on the Aurelian Walls. Start date is 27th May, finishing 5th June: the anniversary of the British Army’s entry to Rome in 1944.